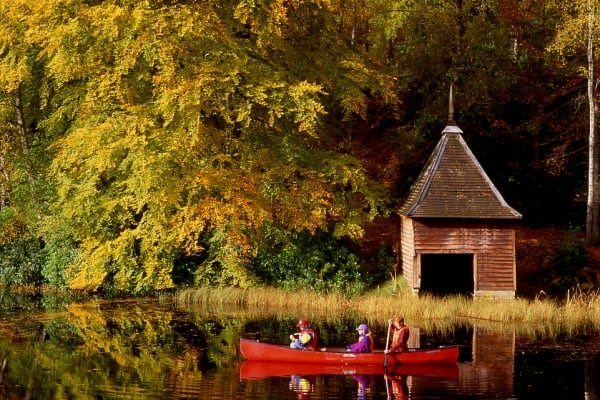 Consider Autumn Breaks Pitlochry at Rosemount Hotel to see Perthshire’s stunning Autumn scenery. If you’ve never been before, you’ll not believe anything can be so staggeringly beautiful. 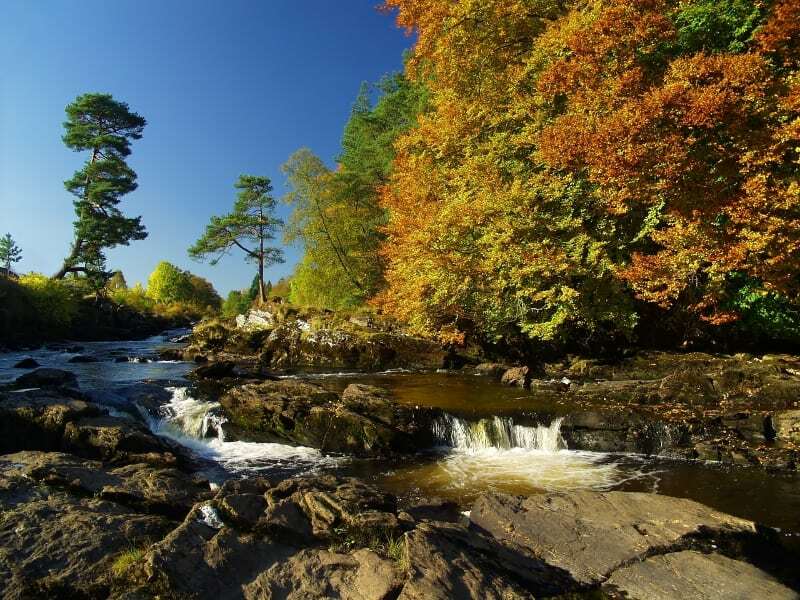 Over the years, we have discovered that Perthshire Autumn scenery is very difficult to photograph well. Attempts to explain the breathtaking impact of turning a corner on a blue-skied Autumn day to be suddenly confronted with a sheer hillside clad in every hue from the brightest, yellowest gold, through russets and flames to the deep-green of the conifers leave us stuck for words. 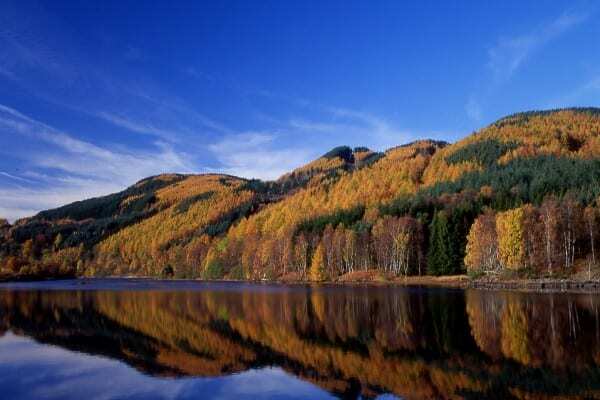 Must-see places include Loch Dunmore, (photographed above), Loch Tummel as viewed from the B road to Foss, Queen’s View, the stunning pass of Killiecrankie, Kenmore, Loch Tay, the Falls of Dochart, the road from Aberfeldy to Ballinluig, Glen Lyon, Dunkeld, the sma’ Glen . . . the list is endless. Take advantage of knock-down, midweek Autumn Break rates with discounts of up to 25% on our Premium-grade rooms. Added value may be derived from a visit to Pitlochry Festival Theatre. The phenomenal Enchanted Forest runs throughout October. Furthermore, the Perthshire Amber Festival begins at the end of October. It passes in a flash . . so Book now!